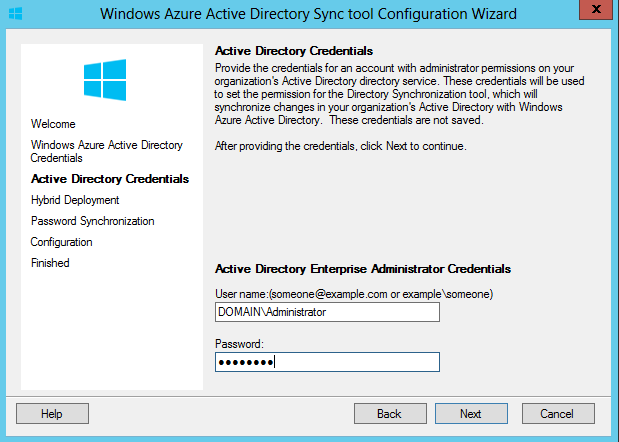 Once upon the time there was customer asking if we can help them with integration their Active Directory with Office 365 cloud. 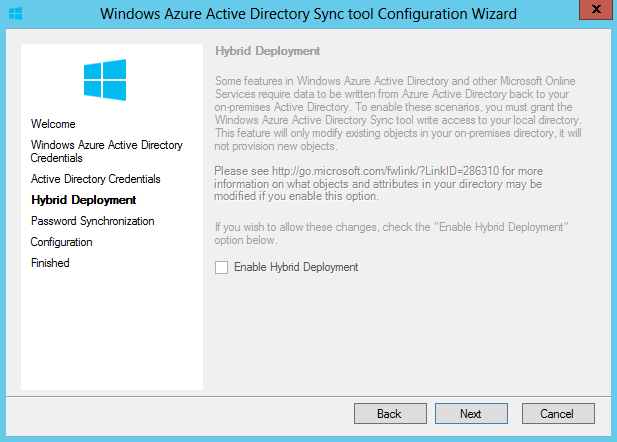 The main request was to sync Active Directory users into Office 365 cloud and then test Office 365 applications on their computers. First you need to check prices and packages you want to use. I wanted to test it so I registered HERE. In free month you can use licences for 10 users. 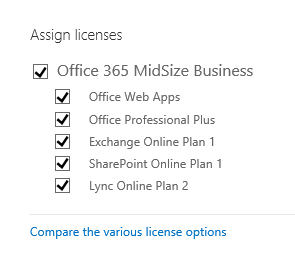 Don’t forget to register for Office 365 Midsize Business, only this version of Ouffice 365 can sync AD. 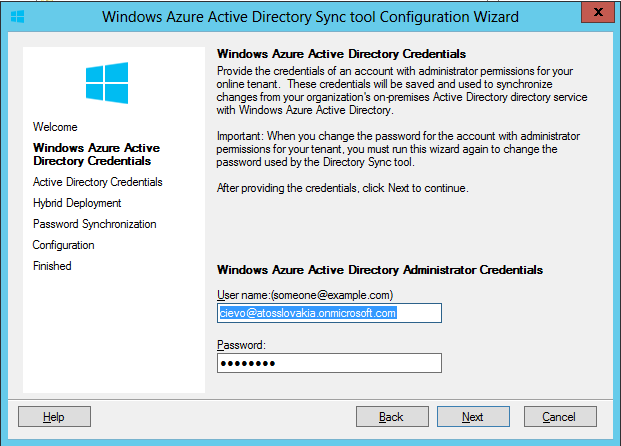 After registration I have received e-mail with my account to log into Office 365 portal. 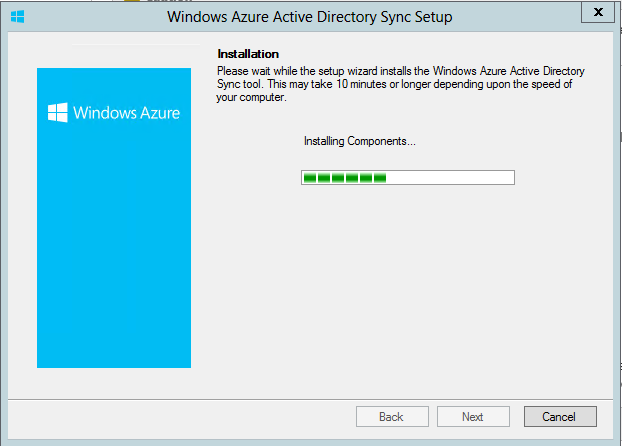 After firt logon there is really not to many things to configure. 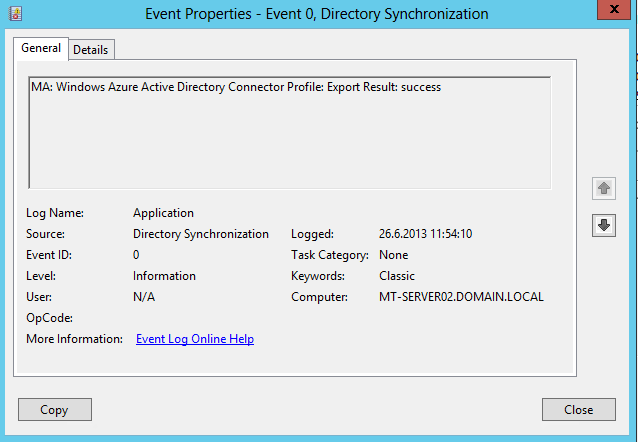 I have to notice that I received testing domain @AtosSlovakia.onmicrosoft.com. This is what you need to have. 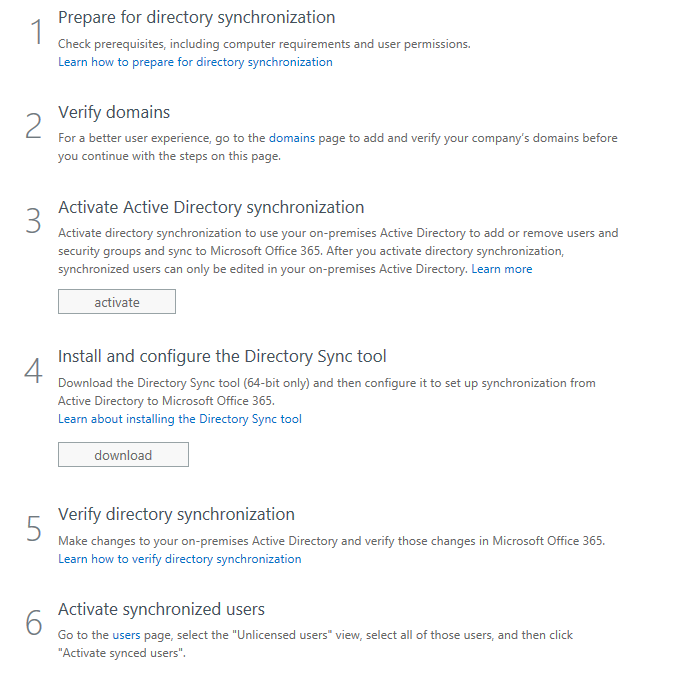 When you log on Office 365 portal you go to “users and groups” and select Active Directory synchronization Set up. 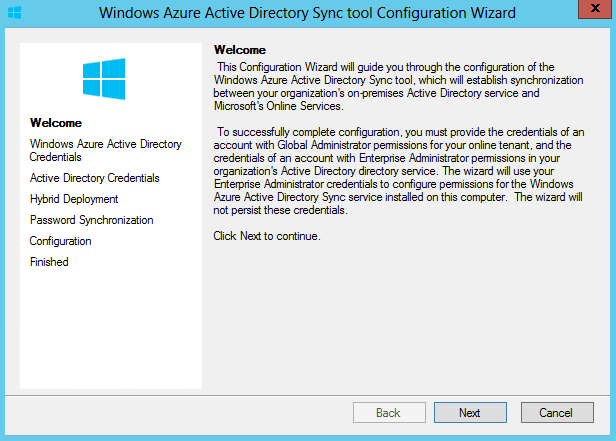 While we will wait for activation of feature, let’s install Directory Sync Tool on server MT-SERVER02.DOMAIN.LOCAL. 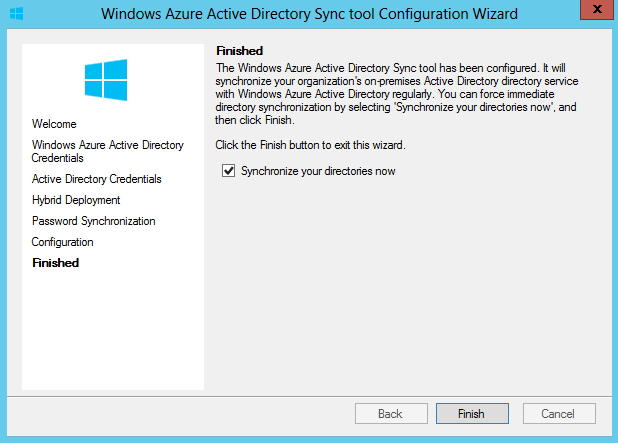 and let run AD Sync Tool. 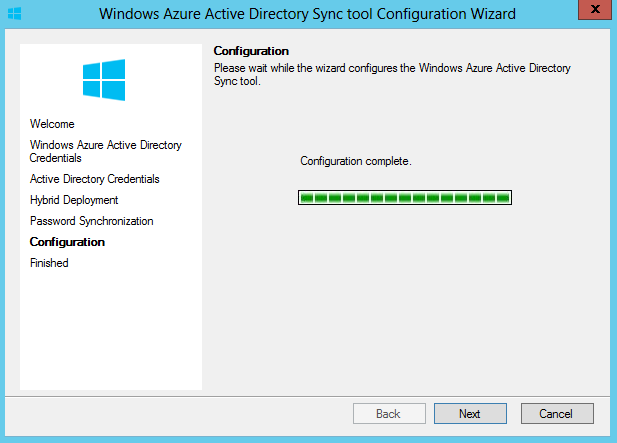 Let’s start AD Sync Tool and configure synchronization. So this is all. When you want to filter account you can do it based on couple condition. You can read more here. 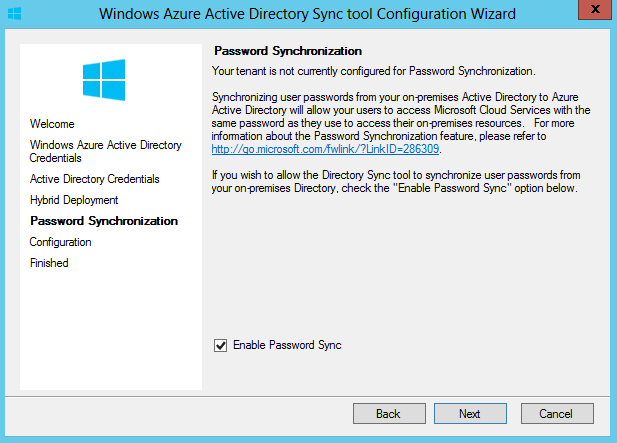 And now I can login with account synced from AD (also with same password) to Office 365 portal and I can download Office 365 application. 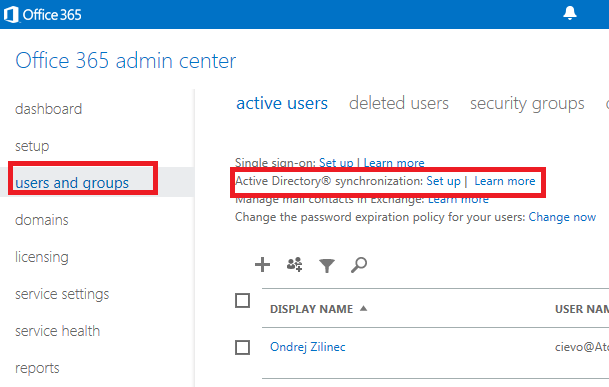 Sikovny je Ondrik, poprosim aj viac detailov ako cely Office 365 funguje.